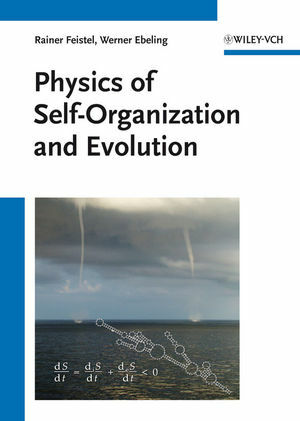 This thoroughly updated version of the German authoritative work on self-organization has been completely rewritten by internationally renowned experts and experienced book authors to also include a review of more recent literature. It retains the original enthusiasm and fascination surrounding thermodynamic systems far from equilibrium, synergetics, and the origin of life, representing an easily readable book and tutorial on this exciting field. The book is unique in covering in detail the experimental and theoretical fundamentals of self-organizing systems as well as such selected features as random processes, structural networks and multistable systems, while focusing on the physical and theoretical modeling of natural selection and evolution processes. The authors take examples from physics, chemistry, biology and social systems, and include results hitherto unpublished in English. The result is a one-stop resource relevant for students and scientists in physics or related interdisciplinary fields, including mathematical physics, biophysics, information science and nanotechnology. Werner Ebeling is Professor em. at the prestigious Humboldt University in Berlin. His research interests focus on self organization, non-linear systems and dynamics and quantum statistics. He has authored a large number of books in three languages, some of them published with Akademie-Verlag (now part of Wiley) as well as an impressive array of research papers. He has been closely working with Rainer Feistel, who also is already author for Wiley. His research is on thermodynamics of seawater and theory of complex systems. He also has authored many papers and books, partly together with Prof. Ebeling. "The book is not only valuable for 'former friends', but can be warmly recommended for all who are interested in self-organization and evolution. Although the book is not written as a textbook, the chapters 4 to 7 in connection with the huge number of references render possible to study this field also for beginners. Also seniors in this field can find new aspects in this extensive, detailled and clearly written survey of a large variety of evolution processes. ..."